Approximately 30–40 million undocumented immigrants worldwide suffer restricted health care. A scoping review was conducted to determine what is known about this population’s palliative end-of-life care experiences. The scoping review followed Arksey and O’Malley’s methodological framework. Databases searched included CINAHL, Medline, ProQuest, Scopus, and PHRED. Search terms included uninsured care, palliative care, undocumented immigrants, and terminally ill. The search revealed limited peer-reviewed and grey literature on the topic. A total of six articles met inclusion criteria, of which four were case descriptions. Barriers to palliative care included lack of advanced care planning, lack of health insurance, poverty, fear of deportation, and limited English ability. 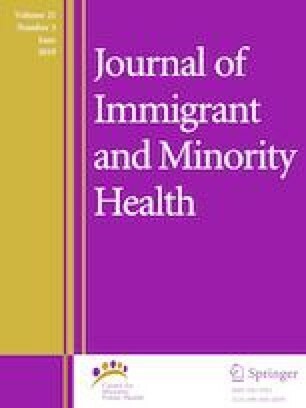 Undocumented immigrants were more likely to have delayed access to and inadequate palliative end-of-life care. If palliative care is a human right, it is imperative that further research be conducted and policies put in place to better serve this vulnerable population at end-of-life. Funding was provided by York University. Papademetriou DG. The global struggle with illegal migration: no end in sight. 2005. Retrieved from http://www.migrationinformation.org/feature/display.cfm?ID=336. OECD. International migration database. 2018. Retrieved from https://stats.oecd.org/Index.aspx?DatasetCode=MIG. Zilio M. Asylum-seeker surge at Quebec border chocking Canada’s refugee system, data shows. Globe and Mail. 2018. Retrieved from https://www.theglobeandmail.com/politics/article-asylum-seeker-surge-at-quebec-border-choking-canadas-refugee-system/. World Health Organization. Cancer Key Facts. 2018. Retrieved from https://www.who.int/cancer/about/facts/en/. Canadian Cancer Society. Canadian Cancer Statistics Publication. 2018. Retrieved from http://www.cancer.ca/en/cancer-information/cancer-101/canadian-cancer-statistics-publication/?region=qc. World Health Organization. Definition of palliative care. 2018. Retrieved from https://www.who.int/cancer/palliative/definition/en/. National Hospice and Palliative Care Organization. (2017). Hospice care. Retrieved from https://www.nhpco.org/about/hospice-care. Canadian Hospice Palliative Care Association. (2018). FAQs: what is hospice palliative care? Retrieved from http://www.chpca.net/family-caregivers/faqs.aspx. Canadian Press. Poll: Canadians are most proud of universal medicare. 2012. Retrieved from https://www.ctvnews.ca/canada/poll-canadians-are-most-proud-of-universal-medicare-1.1052929.